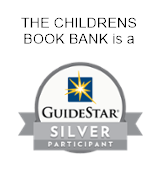 You can help get books to kids at no additional cost to you by directing corporate dollars to The Children's Book Bank. Check out some of these year-round opportunities. Link your Fred Meyer Rewards Card to The Children’s Book Bank and Fred Meyer will donate to CBB. This will not affect your own rewards. Click here to learn more and register your card. Search for The Children’s Book Bank or use CBB’s rewards number TC718. Join now to start donating 3-30% of every purchase to Childrens Book Bank while you shop online at places like Target (2%), Aliexpress (6%), and Hobby Lobby (4%). Give the gift of giving with TisBest Philanthropy Charity Gift Cards. Show your friends and family you care about what matters to them by giving a gift card for a donation to thousands of charities, including Children's Book Bank. With MyChange, you can use the spare change from your debit or credit card purchases to contribute to CBB. Wherever you shop, this is a convenient way to donate to CBB! It's easy to sign up and start making a difference! Click here to get started! Use goodsearch.com for all of your online needs from searching for information to shopping for the best deal and earn donations for CBB at the same time. Plus find coupons just for you! Register the credit/debit cards and rewards cards you use every day and participating merchants will donate up to 5% of your purchase to CBB. Portland area merchants include Zupan’s Market, Market of Choice, and Safeway (must register Safeway Club Card). Use your registered credit/debit cards at any of thousands of participating restaurants—including lots of local options—and up to 5% of your bill will go to The Children’s Book Bank. Click here to see if your favorite restaurant participates or ask them to join you in giving back! future readers, learners, and citizens by filling their homes and lives with quality books.